Welcome to the resource center for the stepper motor! Does your project need a motor with precise positioning, low-speed torque, and accurate speed control? You’re in luck! 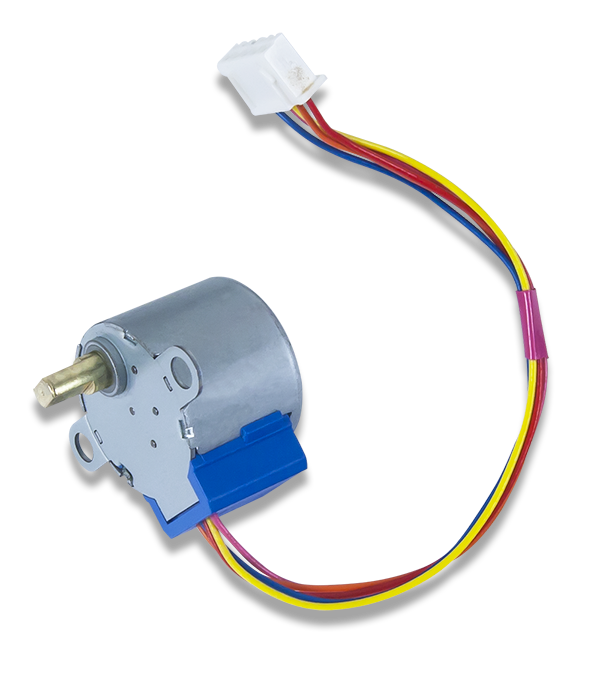 Already a popular component in our chipKIT Starter Kit, this 4-phase stepper motor divides its rotation down to 64 discrete steps (5.625° per step) and can operate in either unipolar or bipolar mode. Add in small size, good power consumption, and plenty of online resources, and this motor can open up a whole new range of possibilities for the designer.